A Conservative MP is to end the "open secret" of his sexuality by attending the launch of a support group for gay politicians, says his agent. Ribble Valley MP and Deputy Commons Speaker Nigel Evans, 53, has won praise from gay MPs from other parties for his decision to back the group ParliOut. Swansea-born, he stood twice in Welsh seats before landing the Lancashire constituency he has held since 1992. Rhondda MP Chris Bryant, who is also gay, welcomed the decision. 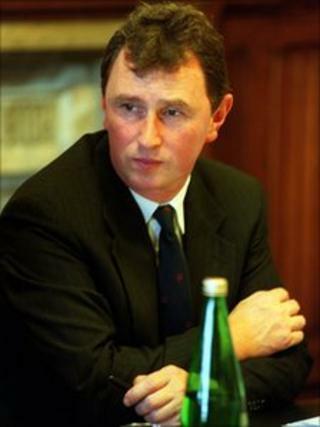 Mr Bryant, who sits on the board of ParliOut, tweeted: "Glad to see Nigel Evans is 'coming out'. An open secret in Parliament for years". Gay rights charity Stonewall, which helped set up ParliOut, has welcomed Mr Evans' decision. Mr Evans's agent said the MP had given an interview to a Sunday newspaper to explain why he was being open about his personal life. It means the number of openly gay MPs in the Commons is 22, with more than half Tories. Mr Evans grew up in Swansea, graduating in politics from the city's University College and joined the Conservatives when he was 17. A member of the former West Glamorgan County Council from 1985-1991, he unsuccessfully stood for Parliament in Swansea West in 1987, Pontypridd in 1989 and Ribble Valley in 1991. He won Ribble Valley in the general election the following year.